DENVER – The biggest battle in heavyweight history just got bigger. GLORY, the world’s premier kickboxing league, today announced the addition of UFC heavyweight contender Alistair Overeem to the broadcast team for GLORY: COLLISION on Saturday, Dec. 10. Overeem will take on the role of guest analyst for this special event, manning the commentary desk alongside Todd Grisham, handling play-by-play, and standing GLORY analyst “Bazooka” Joe Valtellini. Rounding out the team and representing Overeem’s broadcast colleagues for the evening are GLORY backstage reporters Ron Kruck and Whitney Miller. As guest analyst, the mixed martial arts and kickboxing superstar has been tapped to call the action for all four bouts comprising GLORY: COLLISION. 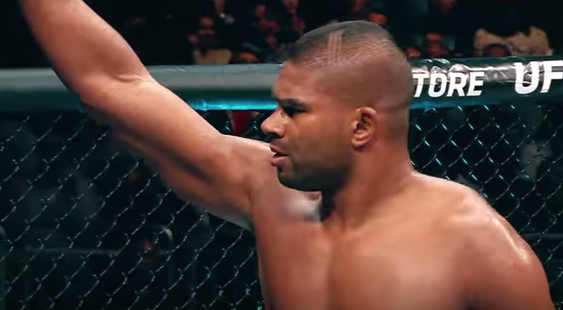 An expert in the striking arts, Overeem is the only fighter to have held major MMA and kickboxing world titles simultaneously. The much-anticipated clash between reigning GLORY world champion Rico “The King of Kickboxing” Verhoeven (49-10, 13 KO) and long-time heavyweight kingpin Badr “The Golden Boy” Hari (106-12, 93 KO) headlines GLORY: COLLISION. Overeem is no stranger to Hari, having faced the former rival twice during his kickboxing career. Priced at $29.95 US, GLORY: COLLISION is available via Pay-Per-View on North American cable and satellite providers and globally via the UFC.TV digital service. Pre-order now at ufc.tv/glorycollision.